Price history for Foldawheel PW-1000XL Power Chair (2 years global warranty) weighs just 57 lbs with battery - Opens & folds in 2 seconds. 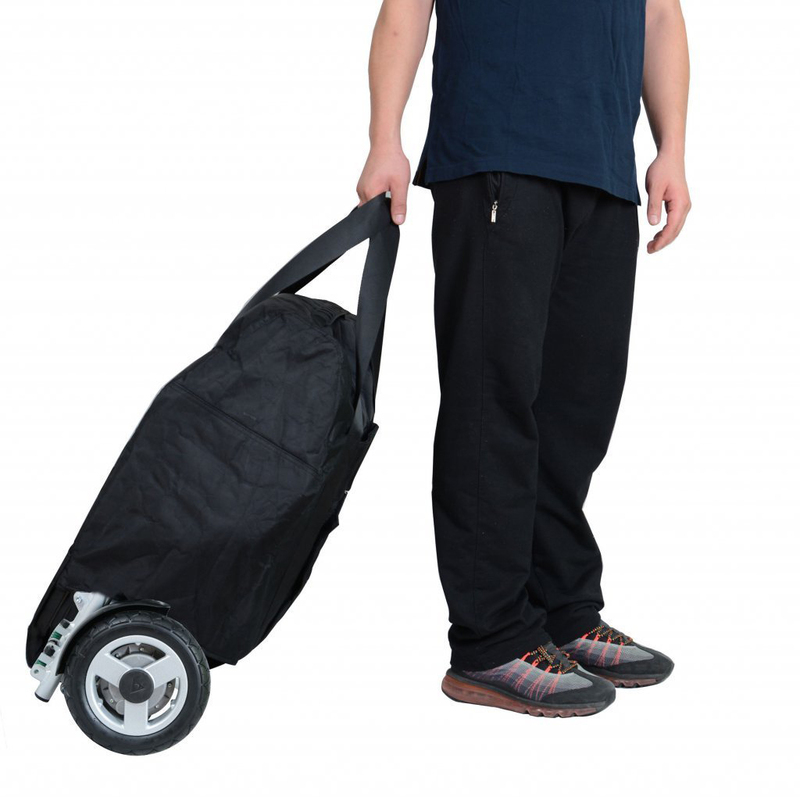 This electric motorized wheelchair comes with a thick durable travel bag. 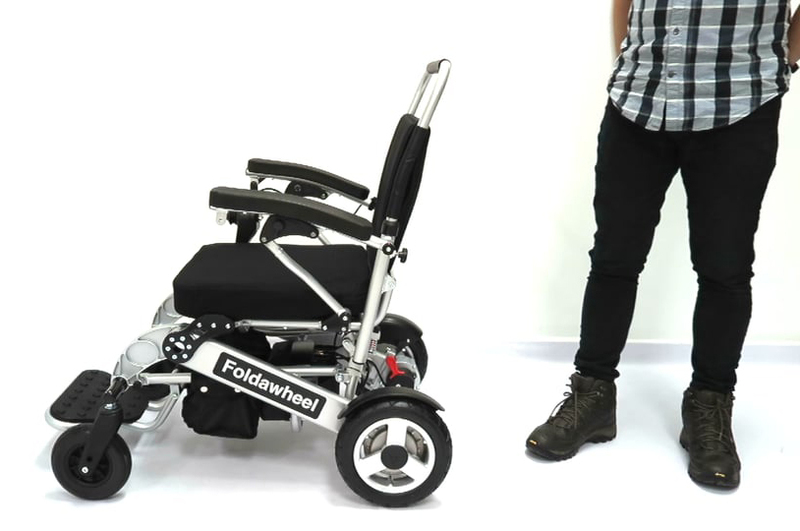 The Foldawheel PW-1000XL Power Chair is the power chair from the future. It looks great and performs the best among power chairs in the same class. 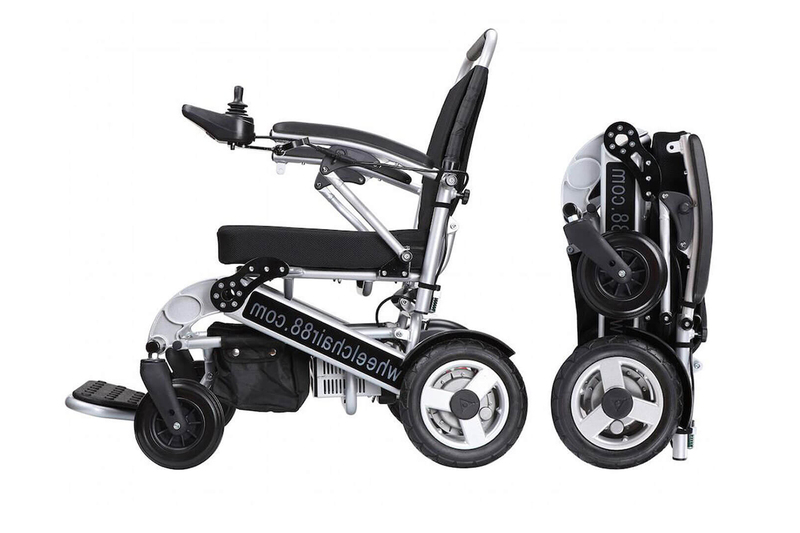 If you want to break free from the motorized wheelchair-look, then the Foldawheel PW-1000XL Power Chair will definitely capture your fancy! It’s quiet, looks great and is powerful enough for heavy use. Its most-loved feature is its fold-open-lock system. If you want portability in an instant, you’ll be happy with its two-second fold system. 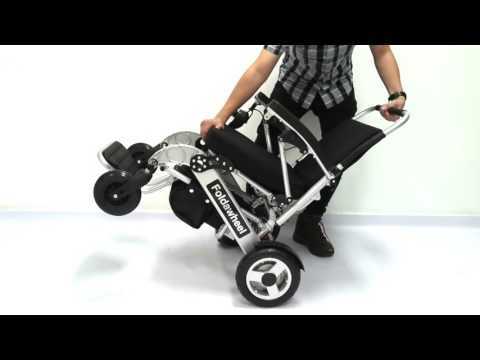 Foldawheel PW-1000XL weighs only 57 lbs, it is the lightest model in this "Heavy duty portable power chair category". If you love our famous Foldawheel PW-999UL but have concerns due to body size, weight capacity, travel weight and you want a faster speed, PW-1000XL would be a better choice. More powerful and quiet brushless motors with solid rubberised rear tires (10"), which is just right without feeling bulky. Not only our tires are made with the best texture for comfort, PW-1000XL also comes with 4 spring suspensions. We use Easy-to-detach connector on our Version 3 joystick controller, so it can be easily detached without taking off the whole cable; travelling by air would be much easier and safe. 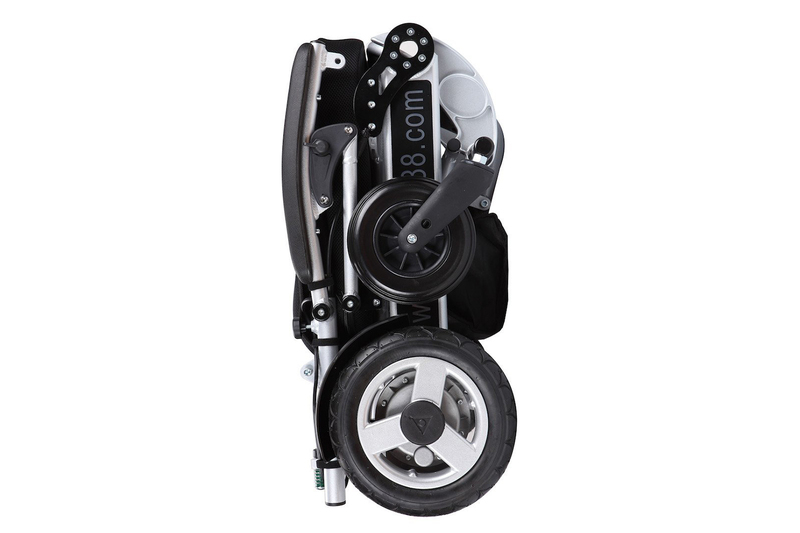 Wheelchair88 is the original designer and producer of the best portable power wheelchairs. We provide worldwide warranty for all our products so we will support you no matter where you travel to, and we understand the after sales service is very important. 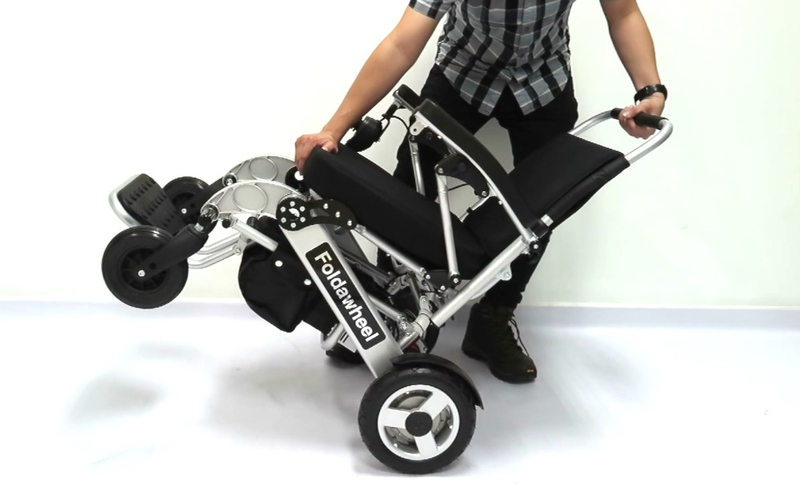 The Foldawheel PW-1000XL Power Chair is very compact and neat when folded. Some users find that they can swing it open and fold with just one hand. It weighs just 53 lbs. Two high-capacity polymer lithium-ion batteries allows a mileage of 18.5 miles. With additional batteries (as much as three), this model can travel as far as 28 miles. Speed is at a fast 5 mph. There is a 19-inch width between the arm rests. It also has a wide 18-inch cushion. Weight capacity is at 330 lbs. 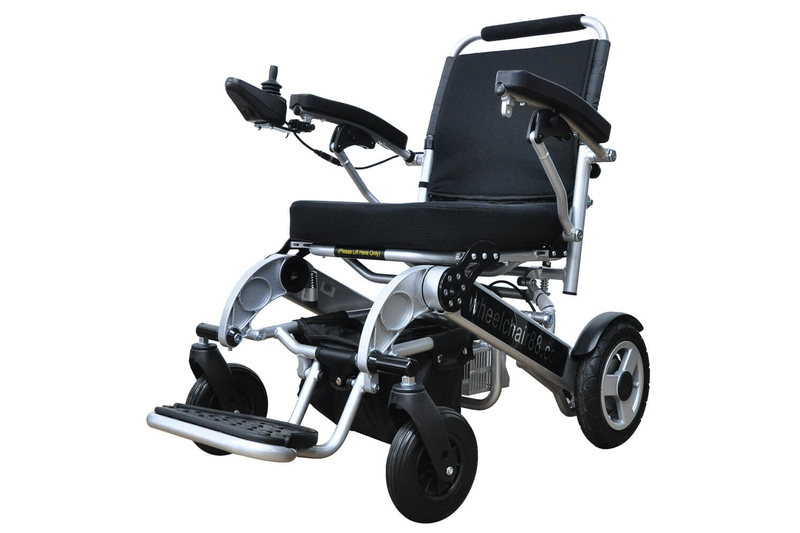 The Foldawheel PW-1000XL Power Chair is powered by a powerful, quiet brushless motor. It comes with solid, rubberized 10” rear tires which is just the right diameter without feeling bulky. Extra comfort comes from the four spring suspensions. The joystick controller has a detachable stainless steel connector. 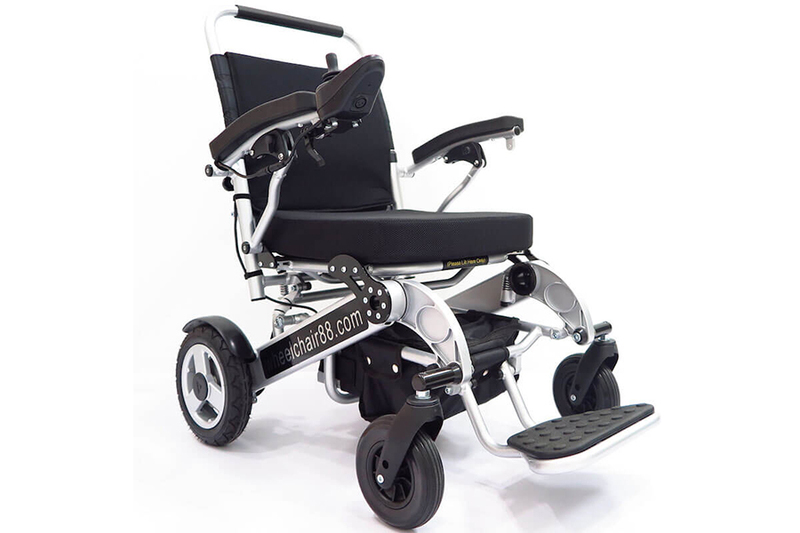 For its size, the Foldawheel PW-1000XL Power Chair is a workhorse! It looks great and handles going across cobblestones, heavy grass and gravel roads with ease. It is extremely easy to fold and unfold. It charges fast and the batteries last long. Customers who own similar power chairs say that the Foldawheel PW-1000XL Power Chair’s build quality is superior and is the highest among all the power chairs on the market. The material feels heavier duty than most. Construction and engineering is also quite tight. The singlehanded fold system also makes power chair superior among its peers. The Foldawheel PW-1000XL Power Chair is a great mobility chair that can easily travel across uneven surfaces. It is powerful for its size, comfortable and a great ride for trips around theme parks, the mall and even the outdoors. Doesn’t come with a headrest.